Stay in hot water all year long. It can be a major inconvenience when your water heater fails and finding a qualified professional to address the problem quickly can be time consuming and costly. Stay in hot water with an affordable repair plan from HomeServe and get protection from high repair costs and access to our 24/7 hotline where you can schedule a repair for your water heater. *National average repair costs as of March 2018. No charge for covered repairs up to your annual benefit amount. You depend on hot water for showering, washing and laundry. 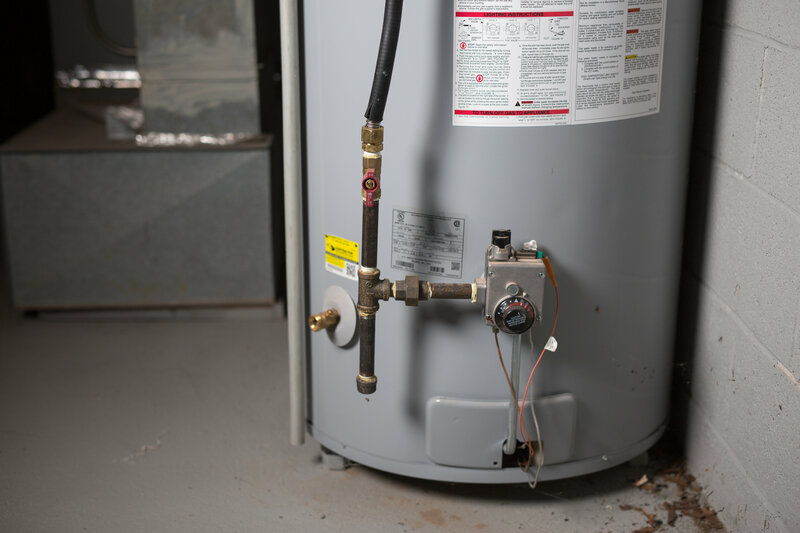 Problems with your natural gas water heater can be a major inconvenience, and finding a qualified professional can be time-consuming and costly. As a homeowner, you may be financially responsible for repairs to your water heater. With the Water Heater Repair and Replacement Plan from HomeServe, you can help protect yourself from the cost and hassle of emergency water heater repairs. The coverage provides multiple service calls, up to $850 of covered costs to repair or replace a tank-based electric, natural gas or propane water heater that is damaged due to normal wear and tear (30-day waiting period with a money-back guarantee). If your water heater can't be repaired, the balance of your annual benefit can be applied to a like-for-like replacement. You may cancel within 30 days of your start date for a full refund; cancellations after the first 30 days will result in a pro rata refund less any claims paid (where applicable). Most basic homeowners insurance policies do not cover repair or replacement due to normal wear and tear of these components. If you find you have similar protection, you can contact HomeServe to cancel and you will receive a refund of your service agreement fee, less any claims paid (where applicable). What quality of repair can I expect? Local, licensed and insured technicians perform all covered repairs, which are guaranteed against defects in materials and workmanship for one year. Does my homeowners insurance cover this? Many homeowners believe their utility companies or homeowners insurance is responsible for emergency repairs to the water, sewer, plumbing, electrical, heating and cooling systems, but the reality is that in many cases you, the homeowner, are responsible. Most basic homeowners insurance policies and local utility companies or municipalities do not cover repairs to or replacement of the major systems in and around your home. HomeServe is an independent company providing emergency home repair services and protection solutions to homeowners across the U.S. Accredited by the Better Business Bureau, HomeServe protects over 3.7 million homeowners in the US and Canada and provides emergency repair plans through partners, utility companies, municipalities and directly to consumers. In the 15 years we've been serving customers in the US and Canada, our vision, mission and values have remained intact. We remain committed to our customers, and strive to provide complete satisfaction. Plans from HomeServe help protect homeowners from the high cost and hassle of covered emergency home repairs with repair service plans that cover parts and labor to repair critical electrical, gas, heating, cooling, and water systems. These affordable plans provide repair service in an emergency through our 24/7 repair hotline by local, licensed, and insured technicians and come with a one-year guarantee* on all covered repairs. *Surge plans have 90 day guarantee. *Surge Plans include a 90 day repair guarantee.